This is an attractive circular walk north of Wolsingham following a stretch of Waskerley Beck and past Holy Well. This route is not suitable for wheelchairs and pushchairs. From the Market Place head along Angate Street (B6296) until you reach the entrance to Desmesne Mill picnic site. Turn left into the site and follow the path by Waskerley Beck past a lovely cascade. The path bears left by a fence over the beck then passes through a kissing gate. Cross the field and over a small concrete bridge. Pass through a kissing gate and bear right to cross another bridge. At the next kissing gate, turn left and follow the path to the next fence. Turn right after the fence and follow the path down to a footbridge over the beck (in front of the caravan site). Pass through the farm and walk along the lane and through a gate at the edge of Hollywood Estate. Walk down the tree line. Where this joins a metalled road cross the road and follow the raised pavement on the left and turn right at the public footpath sign. Walk across the field and pass through a kissing gate in the opposite corner. Chapel Walls Well on this corner marks the site of a moated Manor House. Continue across the field and through a gate to reach the main road. When you reached the main road (Angate Street, B6296), turn right and follow the main road. You will cross the river again. Follow the road until you see a sign for Demesne Mill Picnic Area on your right. After that sign, turn left in the next street (Meadhope Street). Follow that street to the end and you will reach the market place. 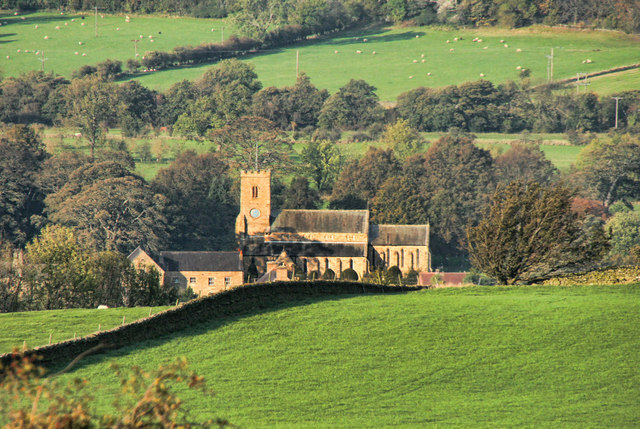 Wolsingham has a wide and great range of physical activities to offer for the locals. The Wolsingham sports hall provides facilities such as a full size indoor hall with Basketball, Cricket, Badminton and Table Tennis equipment, and even an indoor climbing wall. Moreover, Wolsingham has a modern swimming pool which is the hub of the community. It was established 30 years ago.